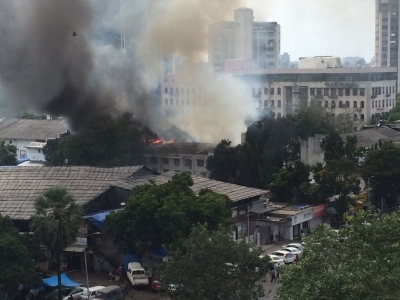 Mumbai, Sep 16 (IANS) A major fire broke out in the famed RK Studios in Chembur here on Saturday afternoon, Brihanmumbai Municipal Corporation (BMC) Disaster Control officials said. At least 11 fire tenders and ambulances have reached the studio and are battling the blaze that has gutted one of the main shooting venues. There were no immediate reports of casualties and the conflagration was confined to electrical wiring and installations on a 800-square feet ground floor area in the studio.